When Jinger Sanders received the first Garrison Family Scholarship back in 2012, she knew—of course—that she’d be receiving financial support. She had no idea how much more the Garrisons would be giving her! Glen Garrison laughs now, remembering the moment that he and his wife Lola first met Jinger at the 2012 UIS Scholarship Luncheon. At the luncheon, Jinger exchanged contact information with the Garrisons and that fall, the Garrisons attended basketball games with Jinger, took her out to dinner and during the holiday season, invited Jinger to join the entire Garrison family for a local Christmas concert. Each year, recipients send an information sheet and personal thank you letter to their donors. Donors have the option of following up from there. Some donors live out of town and keep in touch from a distance. Other donors are able to come to the annual Scholarship Luncheon in the fall for a chance to meet their recipient. At the luncheon, these donors often exchange contact information with recipients and then send emails or text messages of encouragement during the year. It’s completely up to the donors to pursue a closer relationship—and up to the recipients to decide the extent to which they will respond. For the Garrisons, if all goes as they hope—and if their recipient responds—their recipients become family. This certainly happened with Jinger, who has come to love Glen and Lola, and also with their next recipient, Marissa Farris. 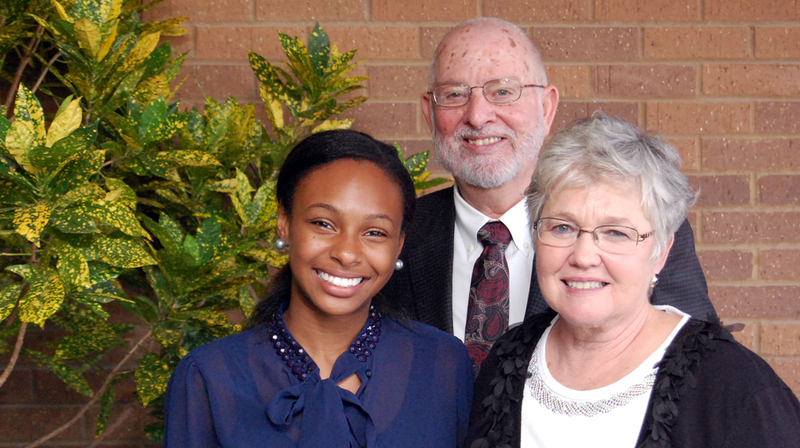 With Marissa, the Garrisons didn’t wait until the Scholarship Luncheon to connect. As with Jinger, the Garrisons let Marissa know when they’d be on campus for a basketball game, and she would go over and join them if possible. Marissa says she corresponded with them often. At the end of the year, when Marissa’s parents came to campus, they took the Garrisons out to dinner with Marissa. “We talked and talked—for hours,” Marissa says. The next year, even though Marissa was no longer their recipient, the Garrisons called early in the year and took her out to dinner, and their friendship with Marissa has continued through the current year as well. She has an open invitation to come for a home-cooked meal or even stay at the Garrison’s house if she’d like. Next spring, Marissa will need to complete an internship before graduation. Her major is Business Administration, and Glen has offered to help. The Garrisons gave Jinger similar support for her ambitions. When Jinger, who wants to be a doctor, was still an undergraduate, the Garrisons invited friends from the medical community in Springfield to their house so they could give Jinger advice. The Garrisons continue to keep in touch with Jinger, who is now in Connecticut studying biomedical science. Before Jinger left for Connecticut this past August, she spent a weekend with them. And that financial investment makes a huge difference for students no matter how often they hear from their donors. What came after the Garrisons’ financial investment—their friendship and continued encouragement—has had as much or even more impact on Jinger’s and Marissa’s futures as the money, and both women look forward to many years of friendship with the Garrisons. 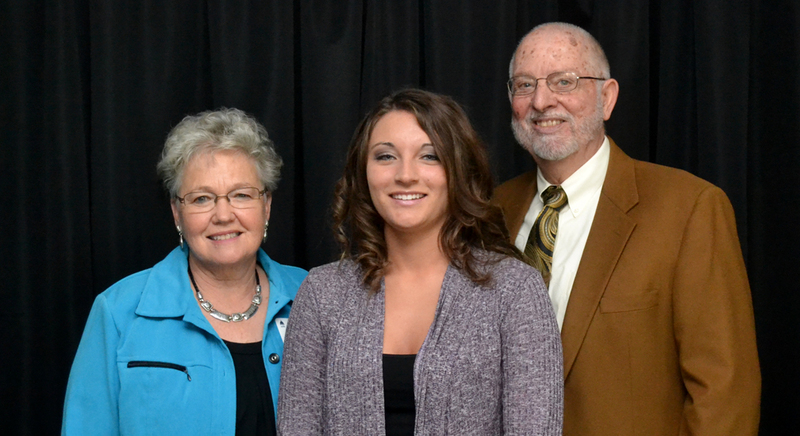 We welcome your support in any amount to the Garrison Family Scholarship.